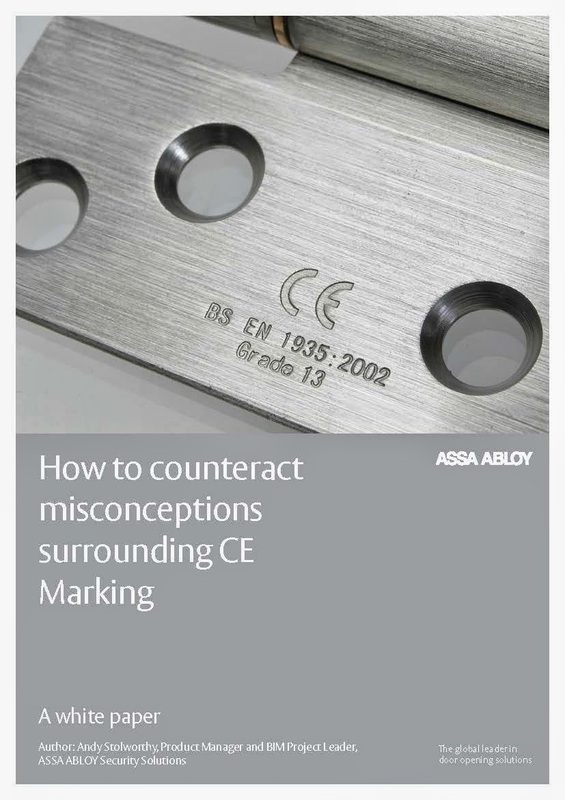 This white paper attempts to address the misconceptions associated with CE marking, as one of the biggest issues for the lock and hardware industry. As a discussion document, the paper will explain the purpose of CE marking and why it has become obligatory (where relevant), examine the common misconceptions about the process, and attempt to clarify their impact and look at how the industry can work to solve them. While the trade press has been saturated with articles on how to negotiate the changes to CE marking that came into effect last year, the importance of ‘getting it right’ should not be underestimated. By affixing the CE mark on a product, a manufacturer is declaring conformity with all of the legal requirements to achieve CE marking, and is therefore ensuring validity for that product to be sold throughout the European Economic Area. Other parties in the supply chain might also be responsible for compliance in some scenarios. Getting it wrong, or failing to affix the CE mark to a relevant product, can result in hefty fines or even prosecutions through trading standards, and has the potential to undermine an entire business. For those already CE marking under the Construction Product Directive (CPD) the transition should be straightforward, but for others unaccustomed to the process before July 2013, it has required (and will continue to require) an investment in time and resource. Manufacturers, importers, distributors, specifiers, installers, certification and test bodies, and regulatory authorities all have a hand in upholding the new requirements, and so it is critical that all relevant businesses have an accurate understanding of what the changes mean, in regards to both doorsets and door assemblies. Alternatively, please download from here.